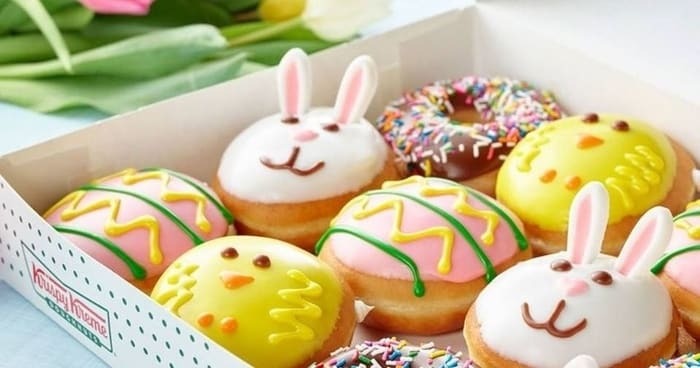 Easter is around the corner, and Krispy Kreme Doughnuts just rolled out their famed 2019 limited-edition springtime collection. Easter is one of our most adored holidays. Not being unduly pious, our love for this blissful bouncing holiday derives from fond childhood memories and elaborate Easter baskets stuff with goodies. It’s too the commencement of nice weather following the pestering winter hawk. We also may be slanted to a doughnut or three. We just heart Krispy Kreme, but we love even more their limited time seasonal doughnuts. The super dainty varieties they have this year are freakin’ amazing! 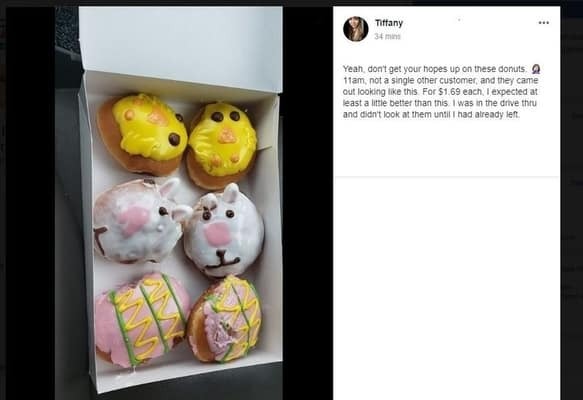 The springtime collection includes:Bunny Doughnut: Influenced by a spring frontrunner, this Chocolate Kreme filled doughnut is plunged in icing and adorned like a bunny with pink and chocolate icing, and sugar ears. Decorated Egg Doughnut: This delectable rendition of an Easter egg is packed with Krispy Kreme’s classic White Kreme, plummeted in a strawberry fruity flavored icing and completed with a hand-decorated egg structure. And Chick Doughnut: Stuffed with Krispy Kreme’s yummy cake batter, this doughnut is hand-decorated like a little chick and slipped in yellow icing. Krispy Kreme’s 2019 springtime doughnuts can be procured nationwide at participating US locations through April 21, 2019. Hop into participating establishments and try out their newest treats! Ordinarily, with their specialty doughnuts Krispy Kreme offers some form of promotion though we have yet to see any. We will keep our bunny ears open in the meantime! Lead Discovered In Popular Sweets: Is Your Easter Candy On The List?